The Kansas Department of Labor says the state’s unemployment rate and the number of private-sector jobs both edged higher in July. The agency reported Monday that seasonally adjusted unemployment rose to 4.9 percent in July from 4.8 percent in June. The July figure was down from 5.6 percent in the same month last year. The report also said the private sector added a seasonally adjusted 900 jobs from June to July, an increase of 0.1 percent. Total private-sector employment grew by about 21,000 jobs from July 2013 to July of this year, an increase of 1.9 percent. The Oklahoma Employment Security Commission reports a slight increase in the unemployment rate in Oklahoma. 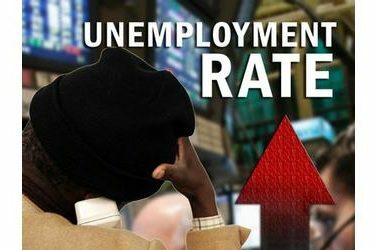 The commission said Monday that unemployment rose to 4.6 percent in July – up from 4.5 percent in June. The national unemployment rate for the month stood at 6.2 percent. Four of the nine major industry sectors posted decreases in jobs in July and four saw an increase while the government sector was unchanged. The report shows the largest increases were 1,600 jobs in the leisure and hospitality industry, 1,400 in mining and logging and 1,200 in educational and health services. However, those increases were offset by a decrease of 3,600 jobs in professional and business services and a drop of 1,900 jobs in the trade, transportation and utilities sector.